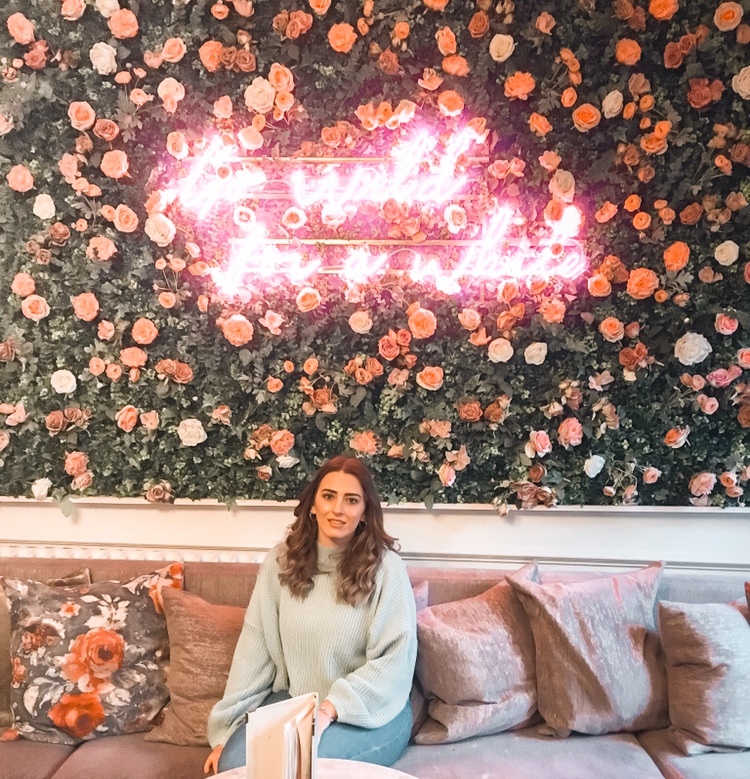 Hands up if you love afternoon tea 🙋 I seek out afternoon teas whenever I can as there’s nothing quite like sitting with friends, tucking into some finger sized sandwiches, yummy cakes and scones! 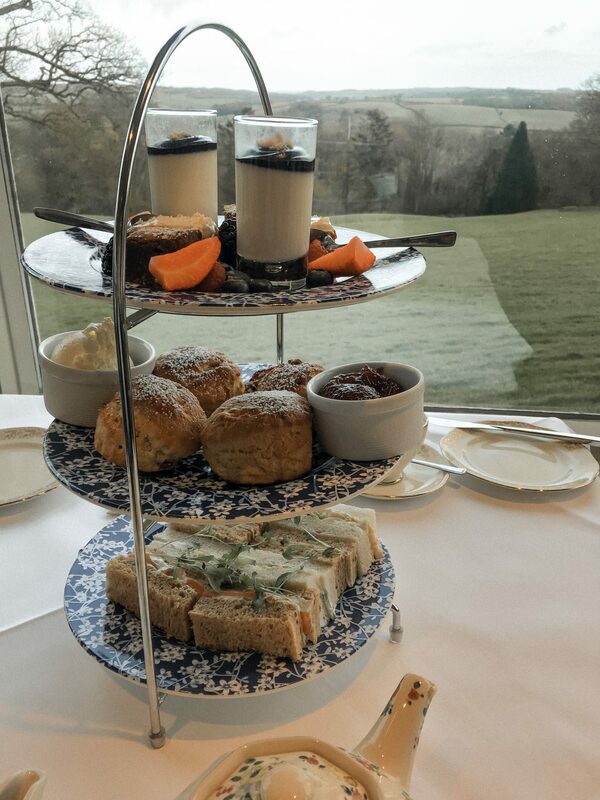 Devon is not always the most exciting place in the UK, it’s incredible in the summer but during the colder months, it can get quite boring, however, whatever the weather an afternoon tea is very enjoyable. Looking for afternoon teas in North Devon? Look no further than my list below! If you’re looking for a picturesque setting not by the beach, then Highbullen is a great match. If you’re looking for more than just an afternoon tea, you can enjoy the spa finished by the delights! They’ve even got a Laura Ashley style tearoom now, making it an even fancier experience. Situated on the strand in Barnstaple, Tea By The Taw is the perfect place for an afternoon catching up with friends. Alongside their famous afternoon tea, they also offer up some incredible homemade cakes, soups, toasties and jacket potatoes. This afternoon tea is a little different, alongside sandwiches, they offer quiche, sausage rolls and mini pastries before scones and cakes! Probably my favourite place to go in Devon, I even wrote about it in my best things to do in Devon in the summerblog. It’s a small café based in the heart of Westward Ho! Near the seafront, offering an incredible selection of cakes. They do specials every weekend, featuring a cheesecake (personally my favourite! ), a five tiered cake alongside other homemade treats. They also do a high tea, with rolls, quiche, mini cakes and a mini scone! One of the cheesecakes they offer at Tea On The Green! Overlooking the idyllic coast, you can make a day out in Woolacombe. 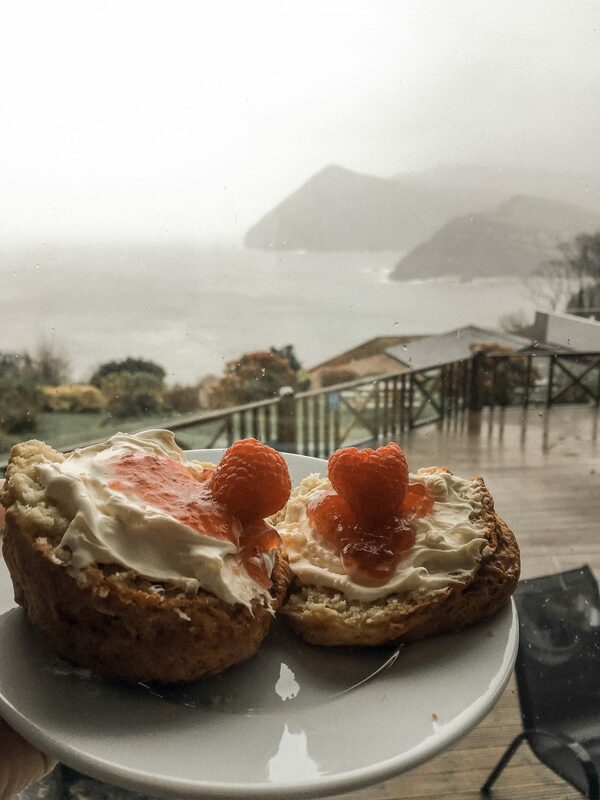 Whether you spend the morning walking along the beach, browsing the shops or make a day of the Watersmeet Hotel. They have an outdoors pool as well as a spa, so a day could easily be spent here, finished with the afternoon tea! Escape to the coast and head to Sandy Cove Hotel, based just outside of Ilfracombe, if the weather is on your side you’ll be able to see amazing views of Broadsands Beach. Unfortunately, when I went last the weather was miserable, but the food was still good! Tucked away in the heart of the countryside, Fox & Hounds is a little way out but is a good choice for afternoon tea. You can tie the afternoon tea in with a walk in the country or just sit and drink prosecco in the glorious surroundings! 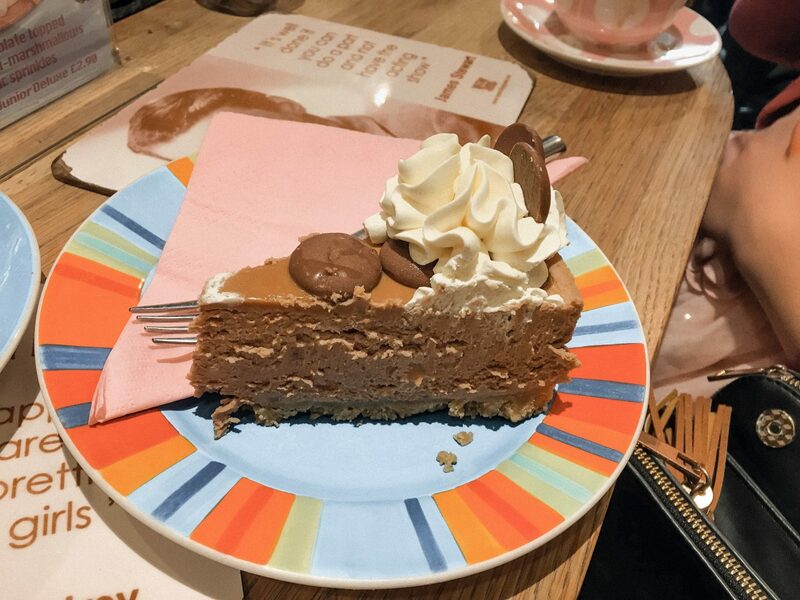 If desserts are your thing, then Treat Time in Barnstaple is a must. 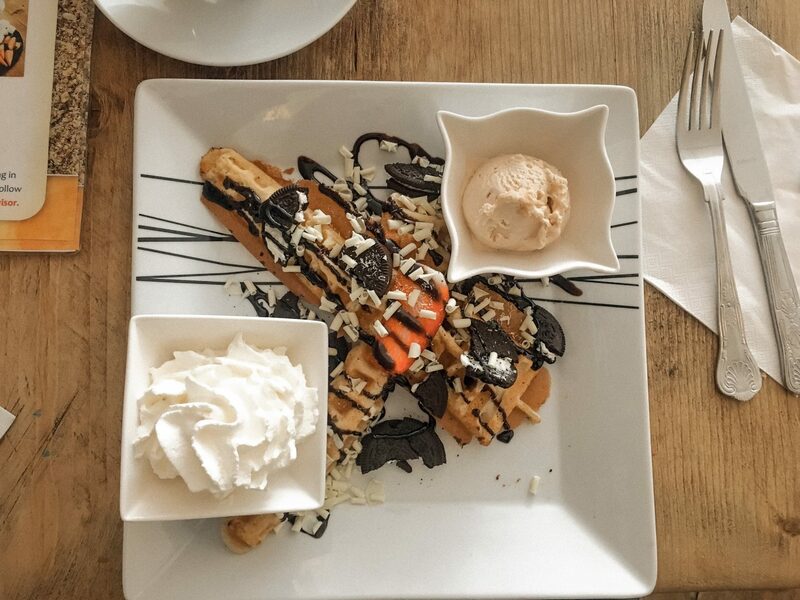 Offering waffles, pancakes, gelato as well as savoury treats, I had waffles the other week and they were to die for! They also cater for parties and afternoon teas, I’m unsure on the price but you can find them on Facebook! Have you visited any of these? 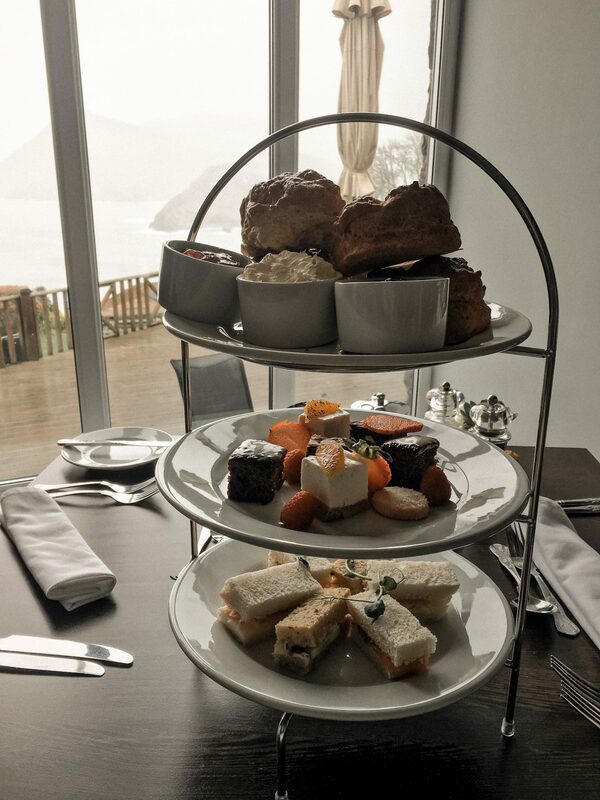 Or have any other recommendations for afternoon teas in North Devon? Let me know in the comments below! Tarr Farm Inn and Watersmeet! Both lush! Barnstaple hotel have a real yummy afternoon tea!